Rogue Fare: Online Orders, Home Delivery! We’ve got another great variety of Rogue CSA Shares for you, and several new delicious local items on our greater list. You can view all of our selections and place an order for home delivery at our Online Farmers Market. Since all of the Shares contain a cheese product this week, we will be happy to sub fruits or veggies for the cheese in the Veggie Share if you request it! Our Veggie Share this week features a new item from Maria at Higher Power Raw Foods. This lady is amazing! The new item in the Veggie Share is Maria’s “Beet It Crackers,” made with organic beets, carrots, celery and spices; these are a number one seller for Maria at market. We’ve also added her Onion Crackers and Sprouted Almonds to the list. A favorite cheese of ours, the, “Herbs De Provence Chevre,” is one of Dave’s best from Oak Leaf Creamery. Dave’s cheeses are all made from raw goat cheese, and this one is super fluffy and great for dipping or spreading. Matt at Happy Dirt Veggie Patch is represented with some lovely bunches of Arugula; Kristina and Kyle at Terra Sol with their nutritious and delicious pea shoots; and Jeff and Anna at Wandering Roots Farm with topped carrots. The rest of the Veggie Share is rounded out with organic Minneola Tangelos, Honeycrisp Apples, Celery and Broccolini. Sheep in pasture at Rock Field Farm, Central Point. 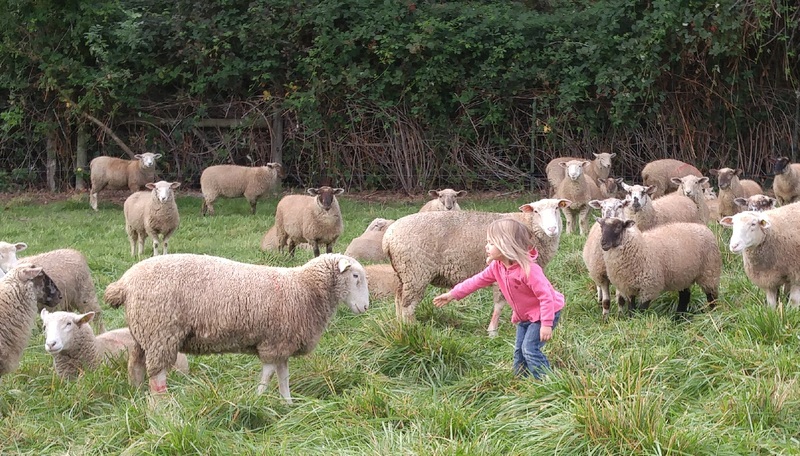 I have to say that I am most proud of the Omnivore Share this week because of all the help I’ve received from Angela at Rock Field Farm; she provides our amazing lamb cuts. Angela is offering 3 different recipes for lamb stew that we’ll be including in the Share this week, and we’ve stocked the Share with as many ingredients necessary for the recipe as possible. The Share includes Angela’s lamb stew meat, russet potatoes, Wandering Roots carrots, celery, jumbo yellow onion, garlic and fresh thyme from David at Dunbar Farm. The Omnivore also includes the Herbs De Provence Goat Chevre, plus a Hearty Salad Mix from Matt at Happy Dirt and organic Minneola Tangelos! Rustic Levain, Rise Up! Bakery, Applegate Valley. The Whole Share Kitchen is also a special one (you might want to order all 3 shares this week : )! 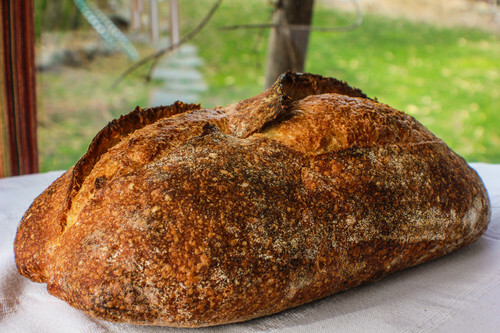 Enjoy a loaf of Rustic Levain from Rise Up! Bakery, a dozen eggs from Poetential Farm, Landjeager from Dauenhauer Cattle, Raw Goat Feta from Oak Leaf Creamery, Lettuce Mix from Wandering Roots, and your choice of Olive Oil from Pasture 42 (just let us know in the notes at the bottom of the form if you want the Arbequina, Garlic or Lemon). We still have the powdered teas from Uber Herbal on sale, the coconut oil from Bright Earth Foods on super sale, as well as the frozen peaches and cherries from Valley View Orchard. If you’d like to place an order this week, please submit the online form by Monday evening at 5:00pm. We will be at your door on Friday, January 25th with your order! Thank you for supporting Rogue Produce and all of our amazing local partners. Go Rogue!